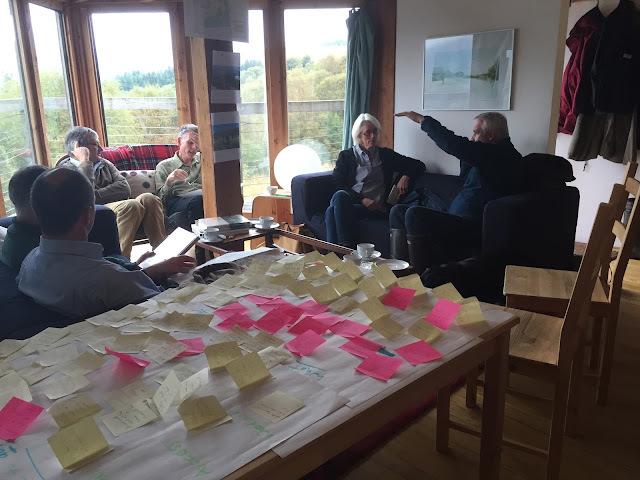 Friday 9 October 2015 saw a great turnout for our consultation with our local community about ways in which we can develop and improve access to our spectacular 50 acre site. Proposals include the planting of a native woodland, a poly tunnel for growing fruit and vegetables and developing links with our neighbouring woodlands: Peaton Hill Community Nature Reserve and Peaton Glen Wood. 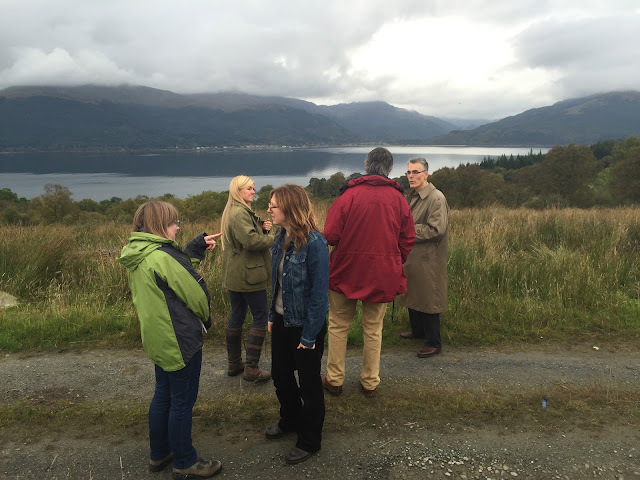 Community woodland specialists Gordon Gray Stephens and Will Self took representatives from key organisations in our local area on a walk round the site and canvassed their ideas and opinions. With Cove Park's new Artist Centre due to open in April 2016, the opportunity will exist for all kinds of workshops, masterclasses and other creative activities to be offered to local communities and beyond. Our intention with the site plans is to complement the opportunities afforded by the new building. Opportunities for volunteering, school gardening and environmental projects, John Muir Award activities, environmental art and local heritage studies were all discussed. Following the open day, Will Self is now producing an interim report which will then be made available to those who were there, and those who could not make it on the day for further comment. If you have any ideas about how to develop and improve access to our site, we would love to hear them! Please email Polly Clark on polly.clark@covepark.org.